Armored Seal Coating is known for detailed commercial seal coating services in Kenosha County and surrounding areas. We apply a 2 coat application on every job to ensure long term sturdiness and quality. Our main objectives: Low Cost, Shielding, Restoring, Sealing. With our high-grade rubberized crack-fill, we will help prevent water from saturating the stone base underneath your asphalt. This will ensure the prolonged life of your pavement. Cracks in your asphalt pavement allow water to seep into the deeper layers and weaken your pavements base. Living in the Midwest, we experience substantial temperature changes which harbor a freeze – thaw process. This process widens cracks and can lead to extensive damage and potholes. If cracks are already too deep or spider webbing you may need some asphalt repair beyond crack filling. Our experienced crack filling crew will be sure to inform you of any concerns and recommend the best course of action if this is the case. Often crack filling or crack sealing is the initial step for a new seal coating. If you are looking for seal coating, crack filling will be included with that service to ensure quality in the preparation. Professional asphalt patching and pothole repair is another service we provide. If you let your asphalt cracks go too long and they have progressed to deeper or larger concern areas or potholes – we can fix them! Contact us for commercial or residential asphalt patching or pothole repair. 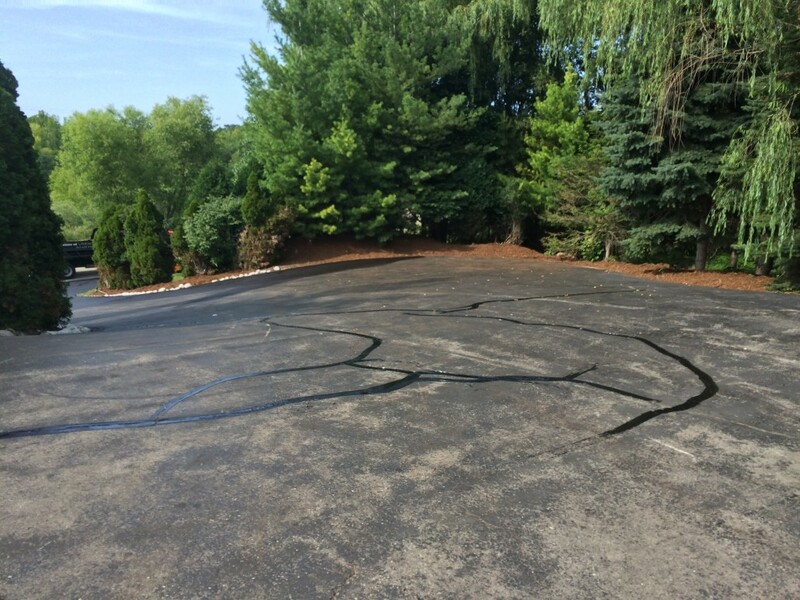 Contact Armored Sealcoating for asphalt crack filling, touch up, or seal coating services in Kenosha and surrounding areas today.